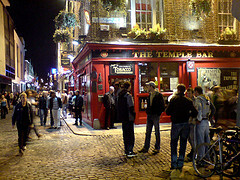 Dublin is the capital city of Ireland and is located on the East coast. It is renowned for its Irish tradition and the friendly atmosphere that is created by the locals. Despite being the biggest city in Ireland, it is relatively compact and can be seen on foot. Hundreds of years ago Dublin was a trading point for slaves and silver. At the time it was controlled by the Viking military. Years later in 1169, the city was taken over by the Normans. After a short period of power they Normans gave the city up to English colonial administration. The Easter Rising of 1916 was the turning point of the city and the end of the UK’s influence on. From this point onwards the city was run by the Anglo Irish Treaty that eventually formed the Republic. Dublin has an International Airport making it easily accessible by air. National Bus services are also available to and from the city. The rail options are expensive and often limited. Hostels, lodgings, and bed and breakfasts are the most common accommodation options. These are scattered around the city in abundance and cater for all budgets and requirements. There are a few fancy hotels located on the north side of the city for those who prefer that option. Dublin has a vast history so there are plenty of historic features to check out. The Christchurch Cathedral is a medieval focal point in the centre of the city. If you are interested in a city’s character, feel and history then go to Grafton Street, Dublin Castle and the Irish Parliament. Also check out the Joyce, Dublin Writers and National museums as these are traditional to the city of Dublin. If shopping is your thing then you are best off going to Grafton Street, St Stephens Green and Henry Street. These streets sell all the fashion brands as well as electronics and jewelry. You can also find unique souvenirs in the petit gift shops down some of the small streets. There are pubs and restaurants all over Dublin. The majority of dining establishments mainly offer traditional pub food although all international cuisine can be found within the city.